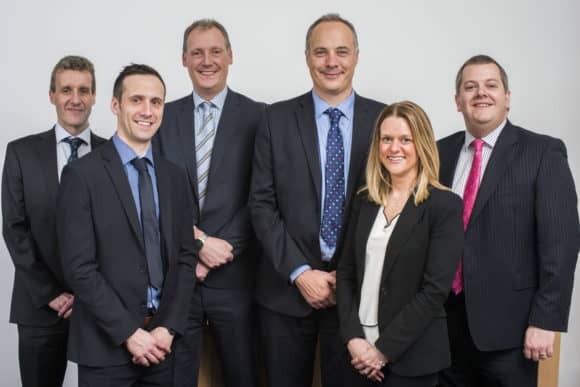 On ground level, the firm also has the technical expertise to deal with the many complex accounts and taxation issues, employing five Chartered Tax Advisors (CTA) – the Gold standard in tax qualifications. EQ’s Corporate Finance team is represented throughout the firm, with a Corporate Finance partner in each office. Ross Oliphant, Partner and Chartered Tax Advisor in the Glenrothes office said, “We are specialists when it comes to helping clients achieve their business and personal goals, whether it be acquiring, raising capital, restructuring or selling. “We have a breadth of experience in Corporate Finance; our specialists understand the personal and emotional aspects of every corporate transaction. We apply original thinking alongside our strong technical expertise and in-depth understanding and knowledge of the tax environment to ensure the best outcome for the client. EQ completes around 50 deals a year for UK based and international clients, most of them between £1 million and £25 million. The firm also has access to international support through its membership of Kreston International, which gives clients vital local information when they are looking internationally. EQ’s team regularly handle Corporate Finance transactions for clients, including recent work with Kirkcaldy based CMP Alloys, suppliers of specialist steel and nickel alloys who recently asked EQ to help sell their business to an international company. EQ assisted the directors in preparing for the sale, taking pressure away by negotiating on their behalf, ensuring they achieved the best outcome. Graeme Portwood, former Director of CMP Alloys, commented, “We are delighted with the way EQ handled our negotiations over the past few weeks. It was an education watching the team move through their paces throughout the negotiations, at no point did they make us feel vulnerable. We knew we were in safe hands”. For more information, visit – https://www.eqaccountants.co.uk/corporate-finance.